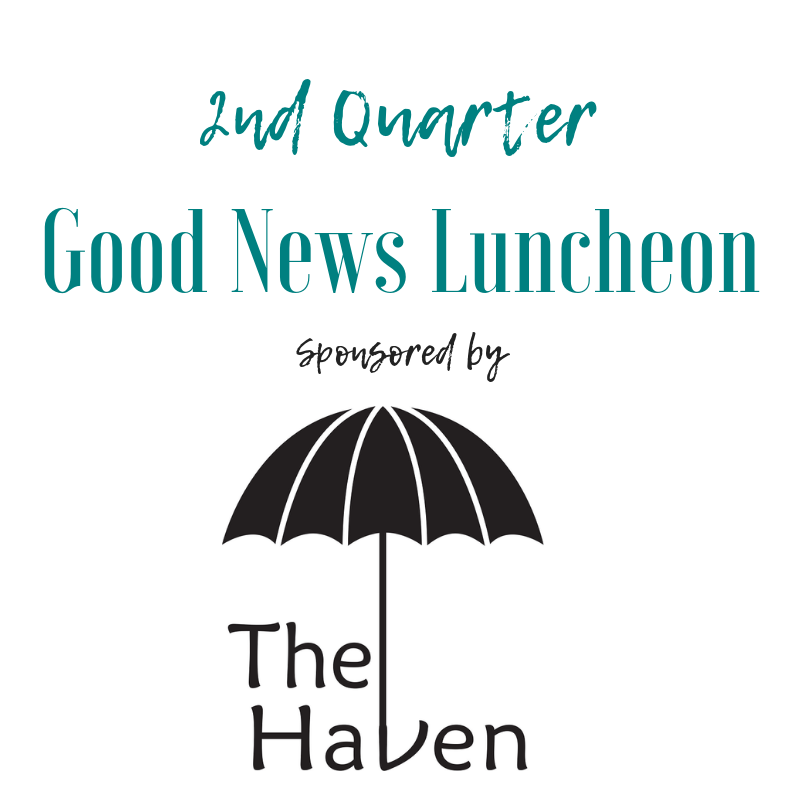 The 2nd Quarter “GOOD NEWS” business luncheon, sponsored by the The Haven Family Shelter and presented by the Brady/McCulloch County Chamber of Commerce, is scheduled for April 17th, from 11:30 a.m. until 1 p.m. at the Ed Davenport Civic Center. A catered meal will be provided by Moonlight Catering. Tickets for the luncheon are $15 for members or $20 for future members and can be reserved through the Chamber office. Please let us know if you are planning to attend by 12:00 pm, Tuesday, April 16th. Contact us at (325) 597-3491 or RSVP below to reserve tickets for you and your staff! We are pleased to have the The Haven Family Shelter sponsor our first quarter business luncheon. The general public is invited to attend this informative networking event for lunch and to learn more about the numerous positive things happening in Brady and McCulloch County. Wednesday, April 17 at 11:30 am. Program begins at Noon.